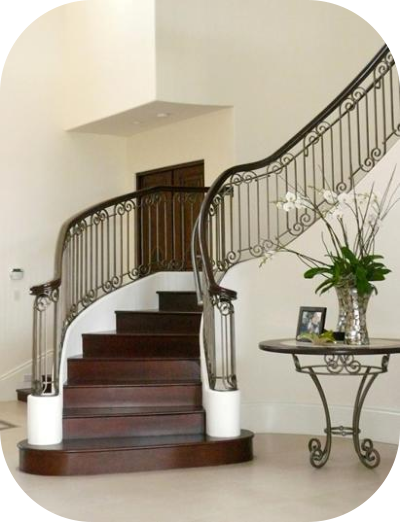 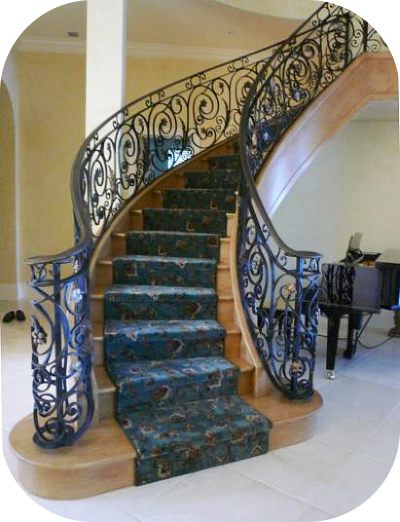 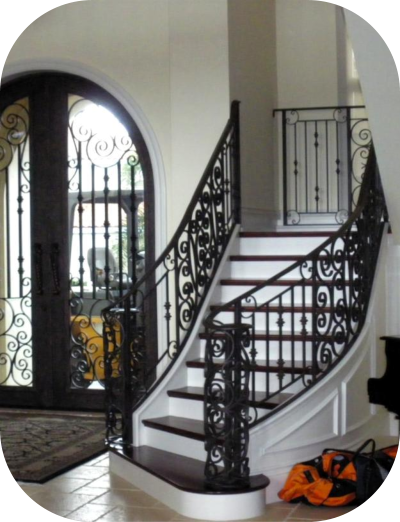 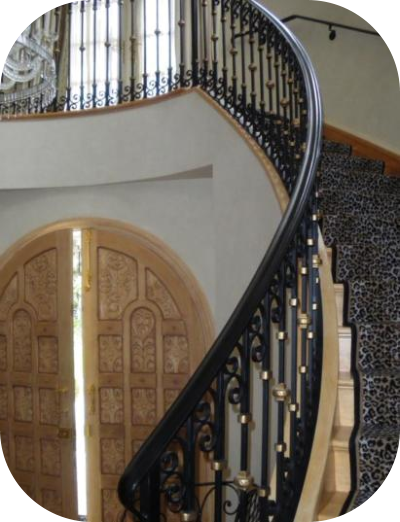 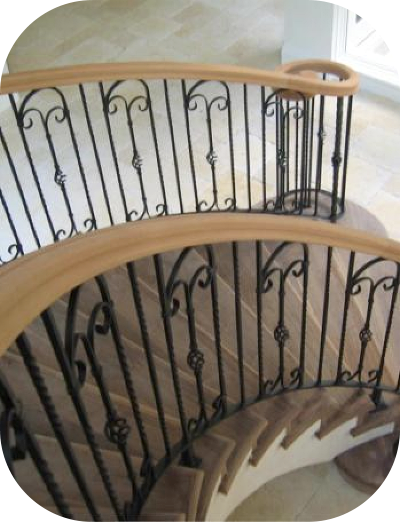 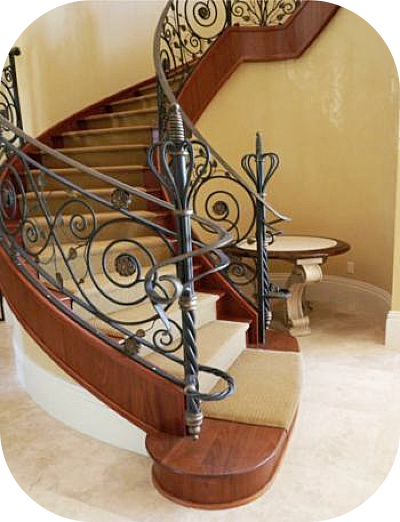 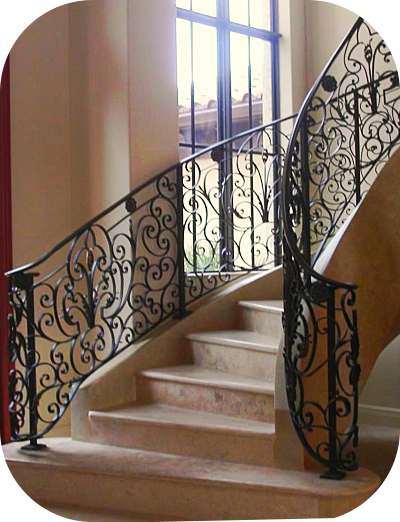 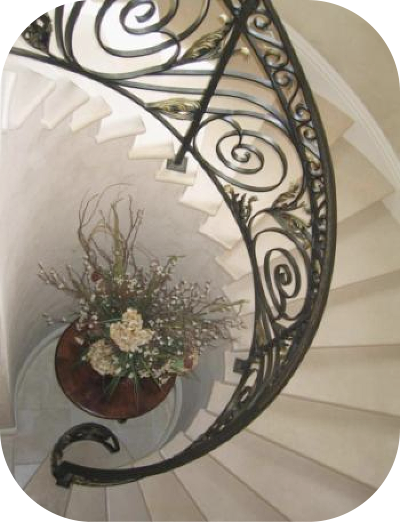 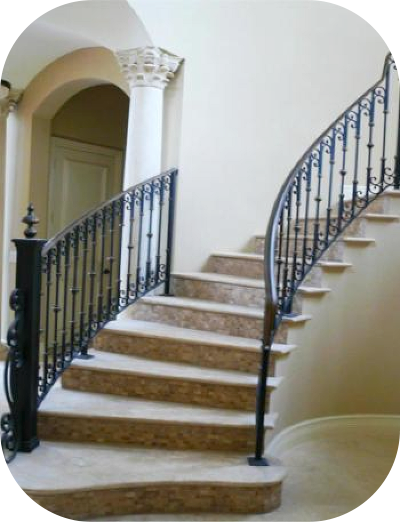 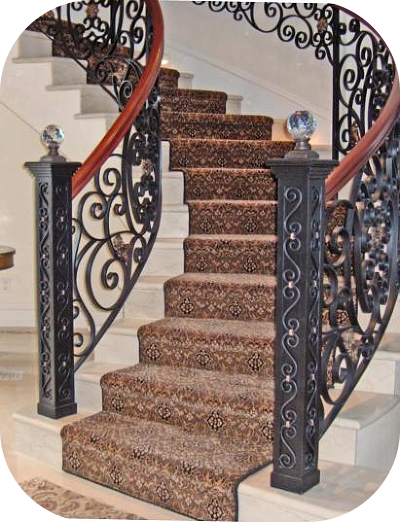 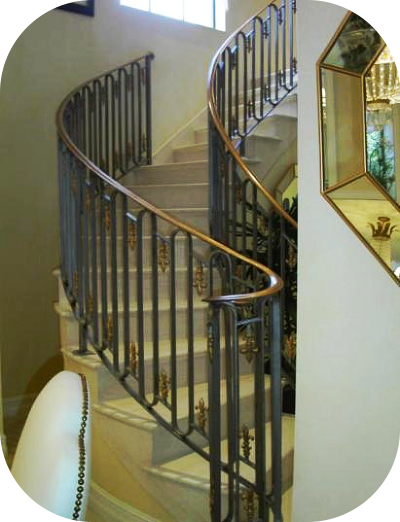 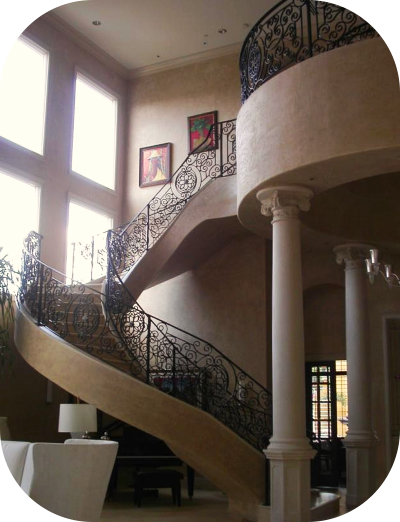 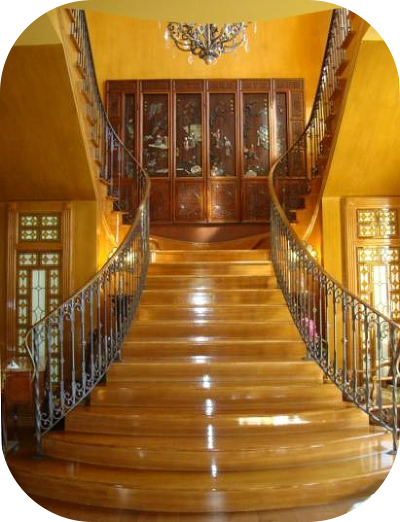 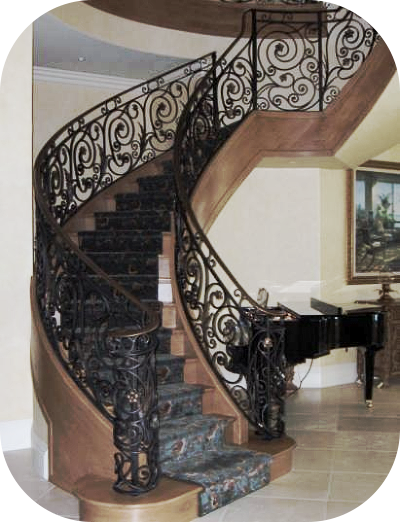 Interior Wrought Iron Staircase Railings For Beauty, Elegance, Long Life, and Value! 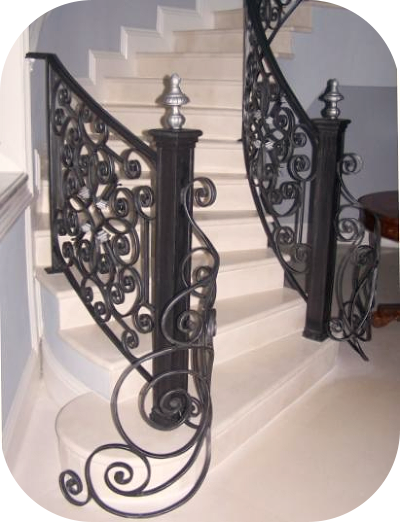 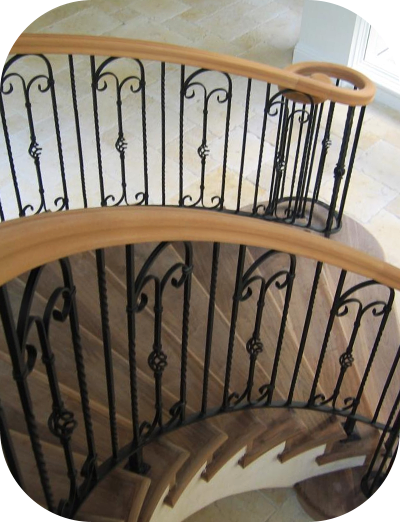 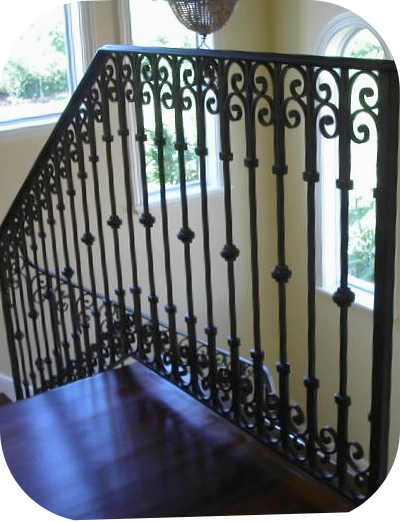 Interior wrought iron staircase railings are a wonderful enhancement whether designing a new home or renovating your current residence. 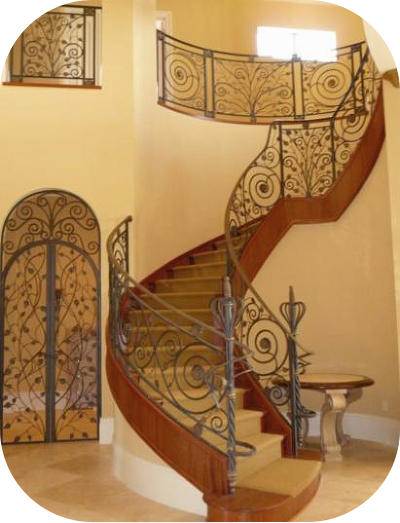 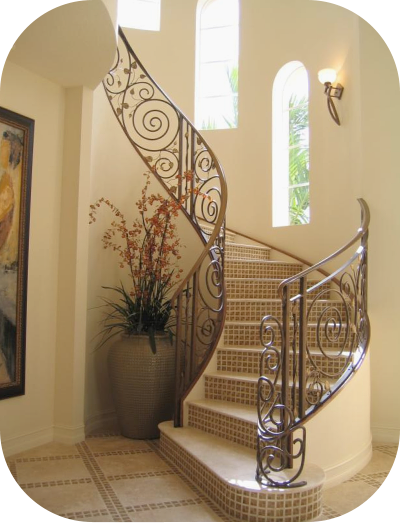 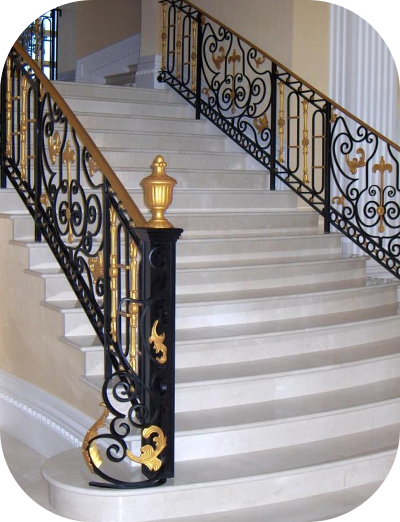 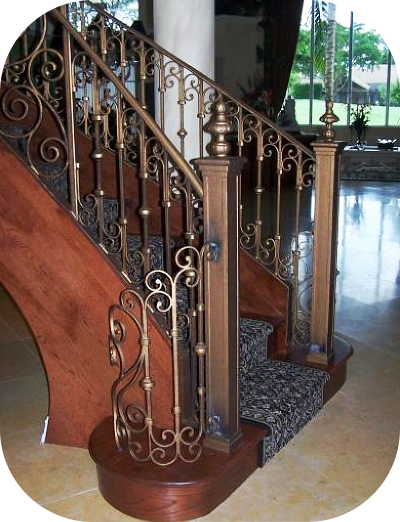 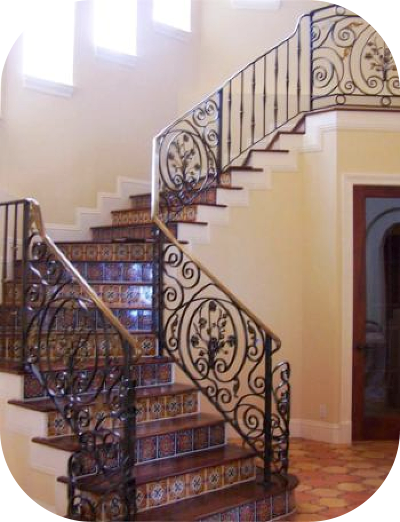 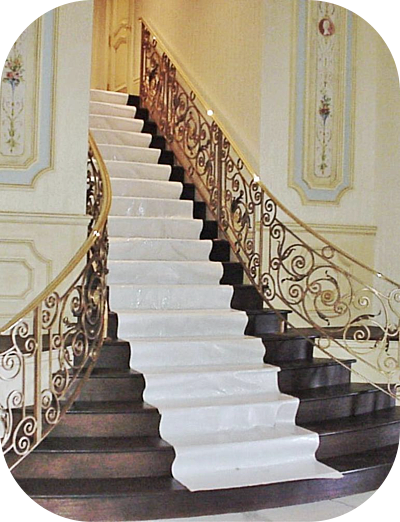 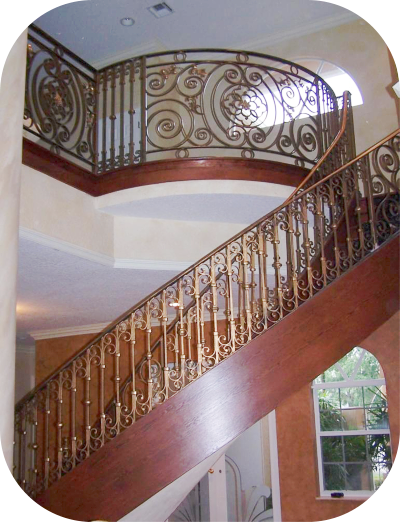 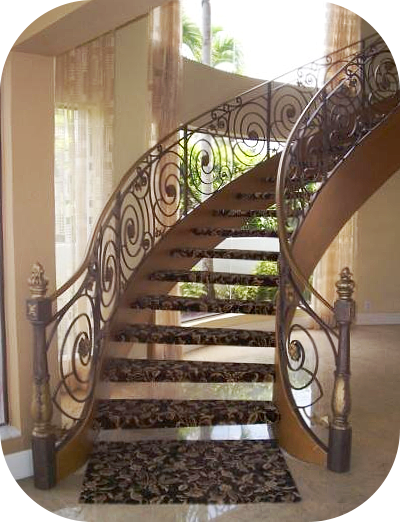 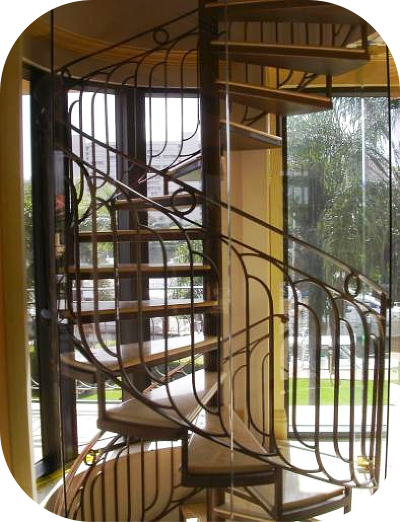 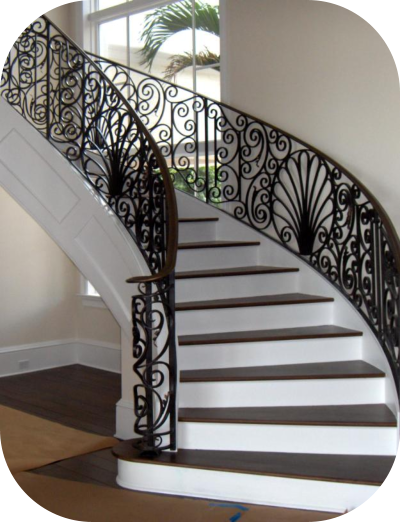 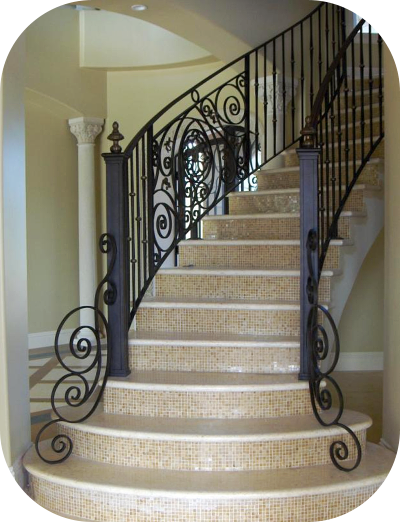 You might want to consider beautiful ornamental staircase metalwork as part of the plan. 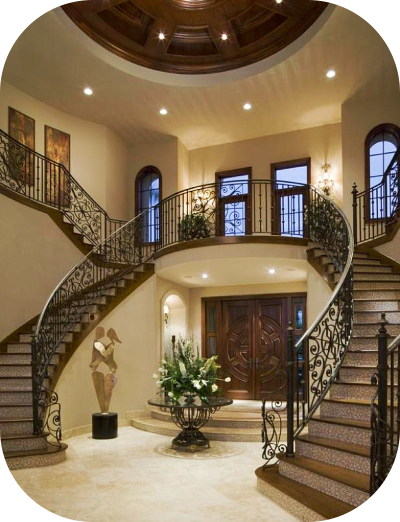 Numerous options are available. 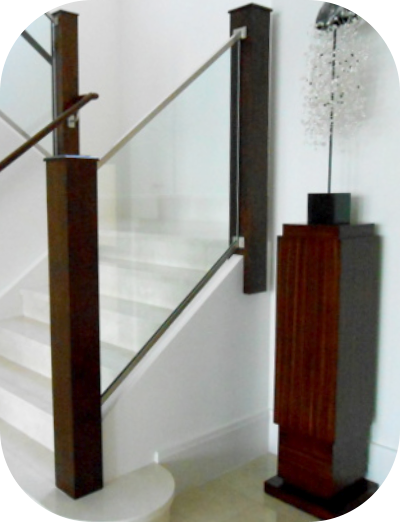 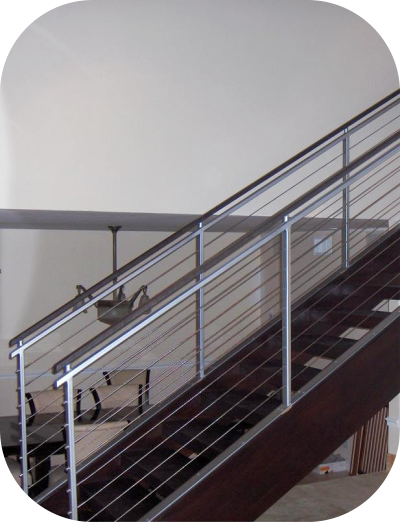 Metal or Wood handrails, sleek modern looks to the classics, and more. 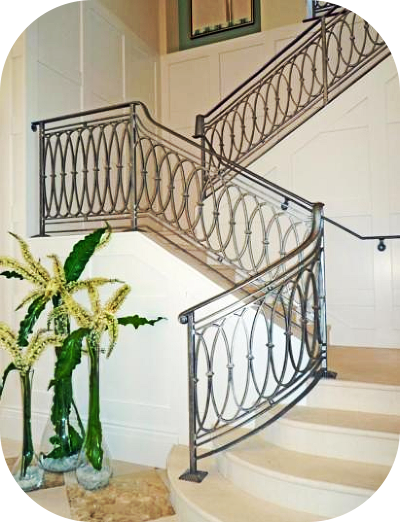 Avion Metal Works of Florida owners and professional ornamental metalsmithes can design and craft a product to meet your needs and desires. 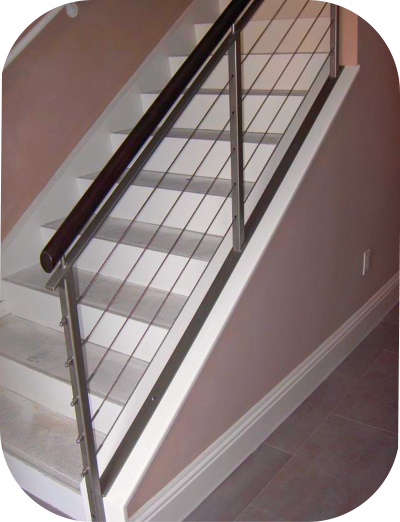 Functional and durable. 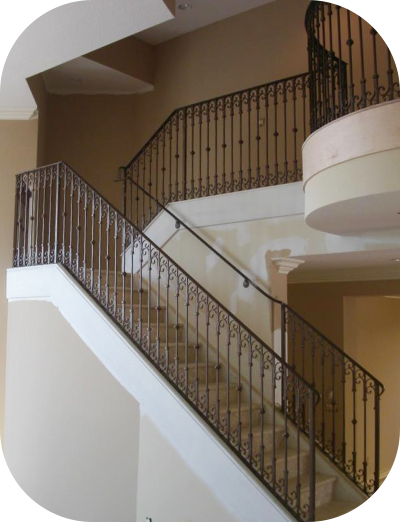 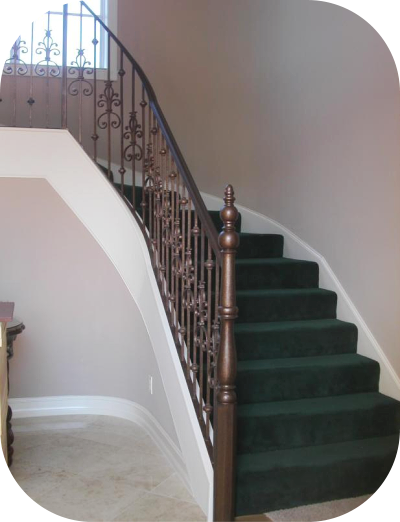 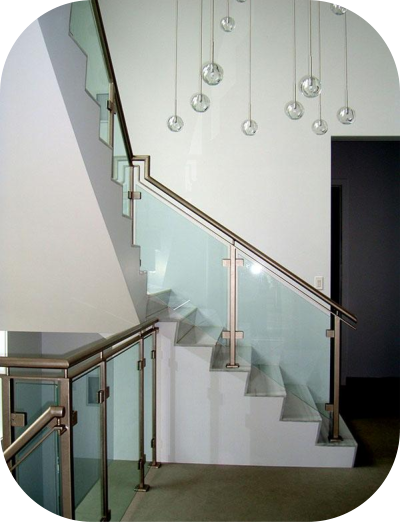 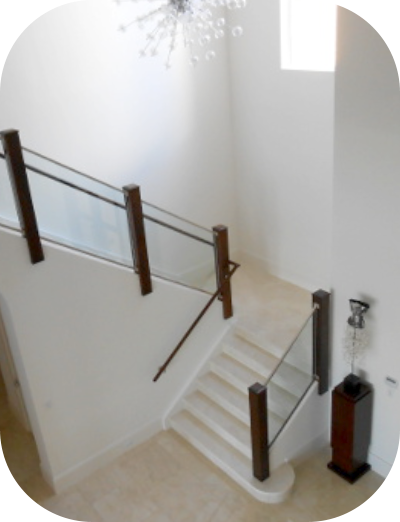 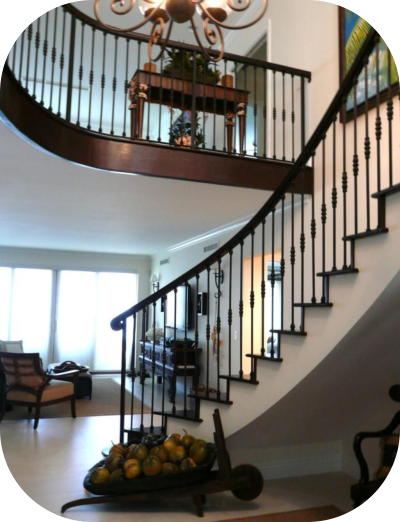 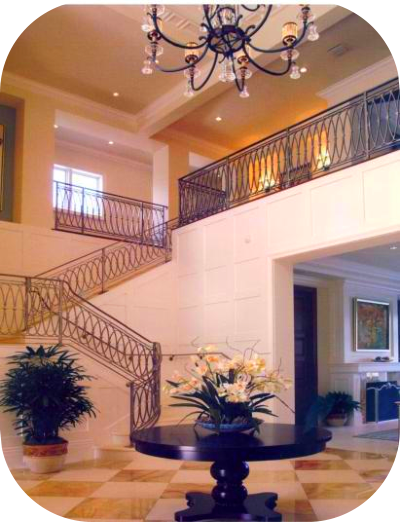 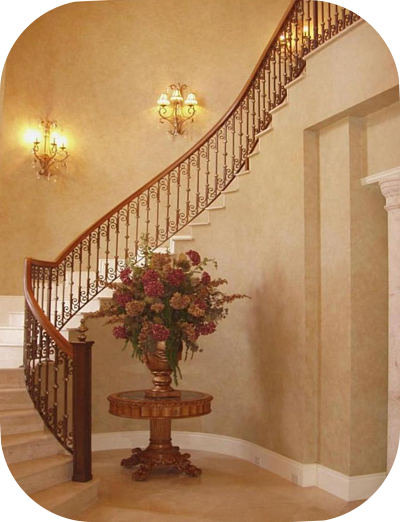 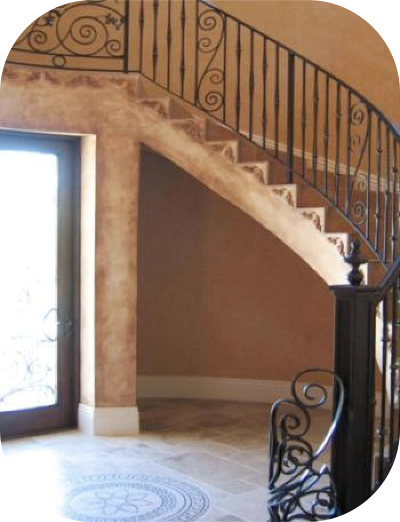 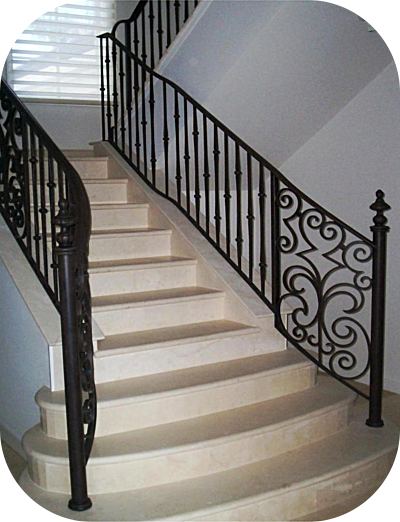 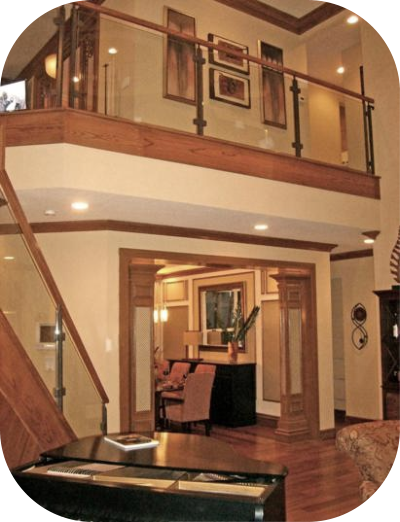 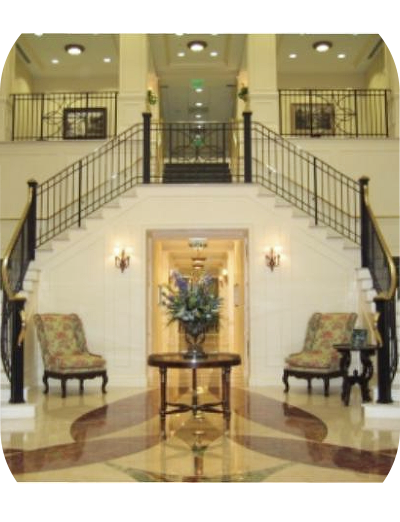 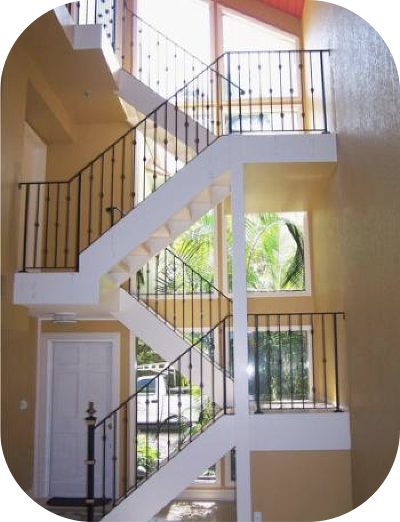 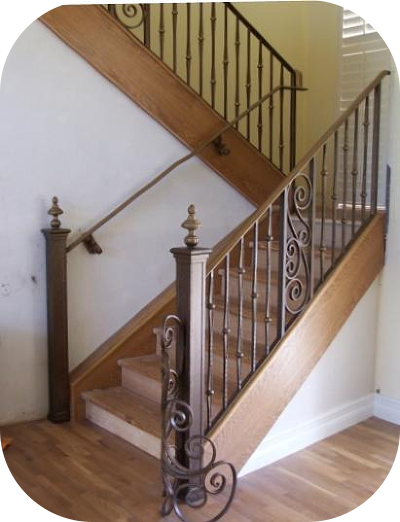 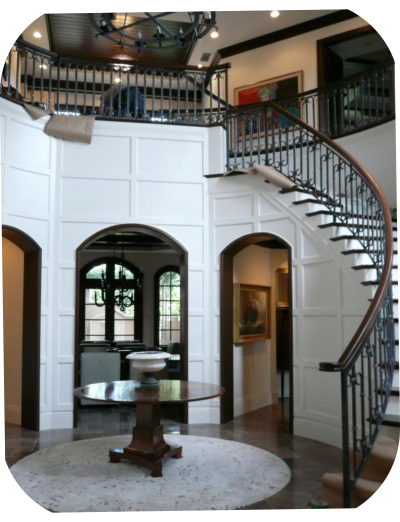 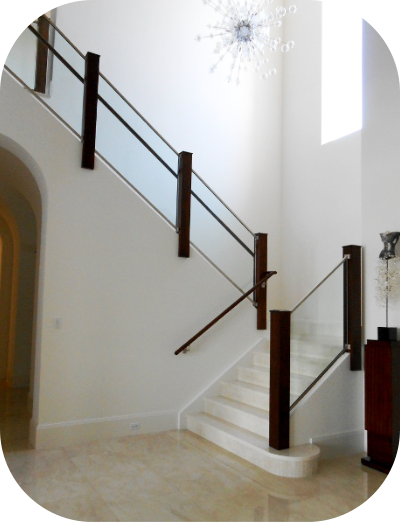 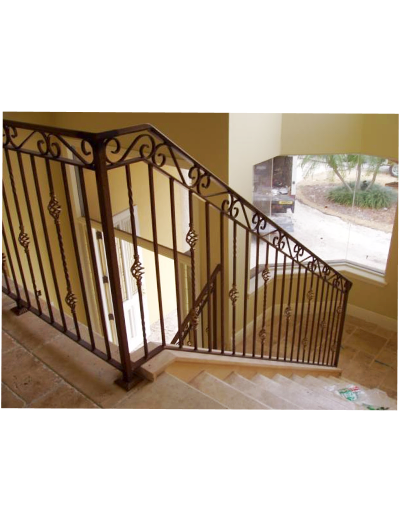 these staircase railings offer the advantage of strength, durability, and safety. 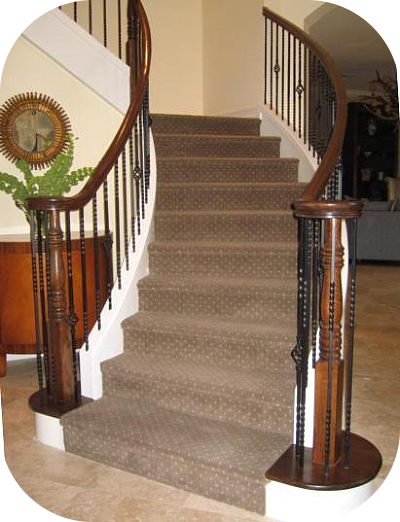 And with a modest amount of care and maintenance, they will last many many years. 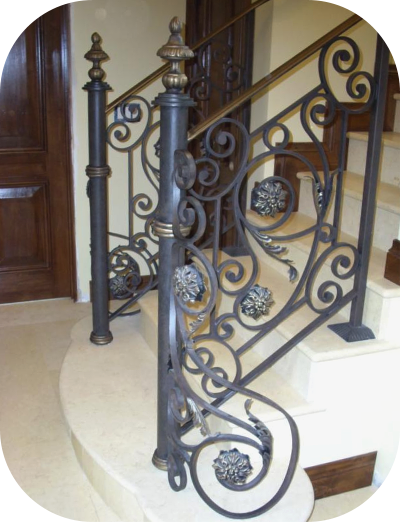 We will be happy to consult and advise you, answering all questions you may have regarding wrought iron, metal and Iron products for your home or business. 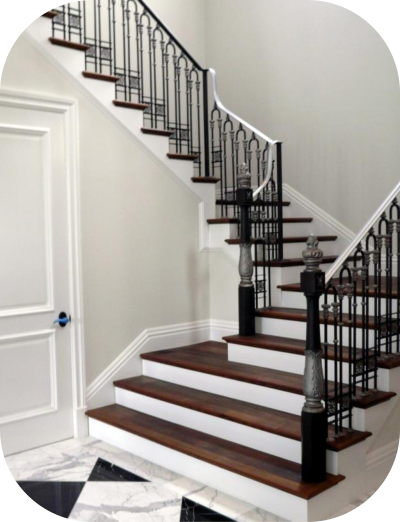 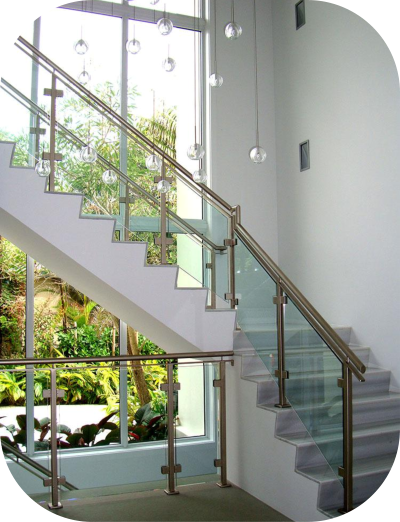 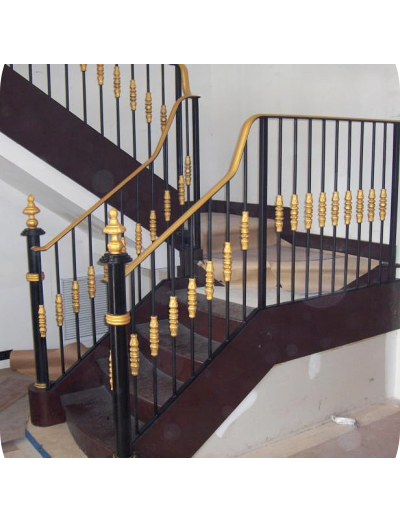 We will work closely with you every step of the way in the design and superior creation of your desired staircase railings. 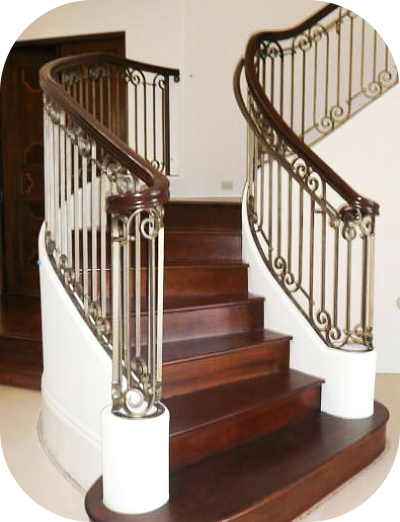 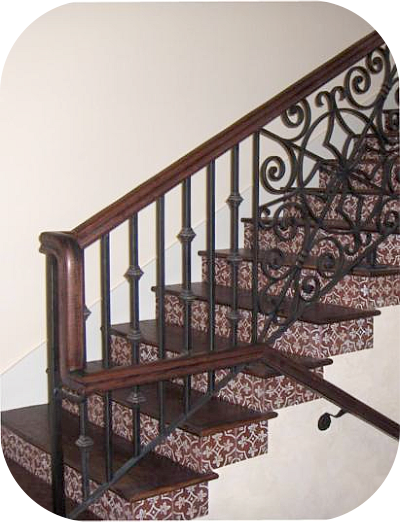 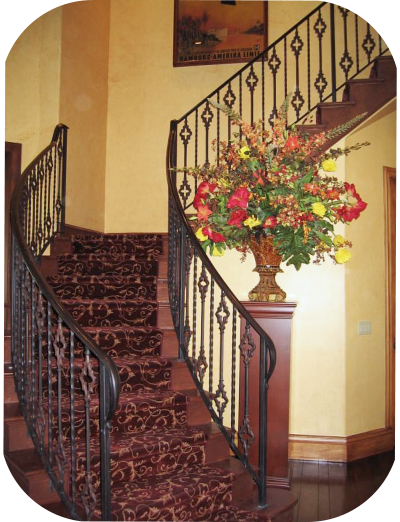 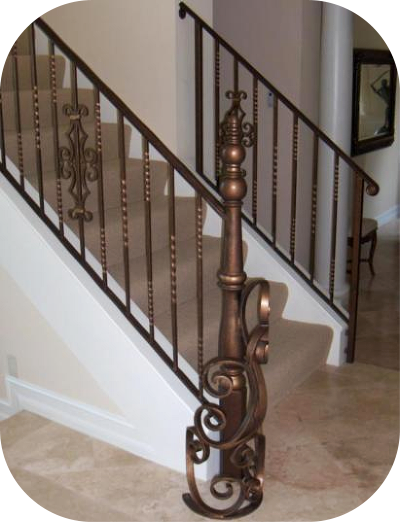 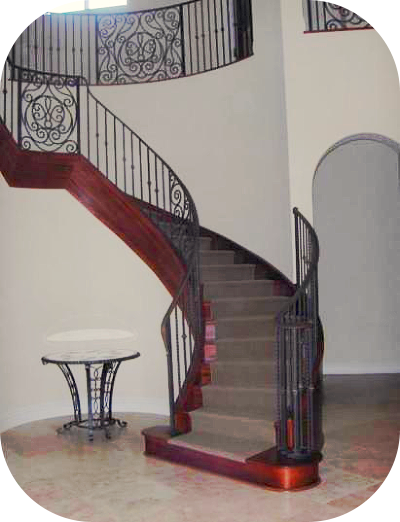 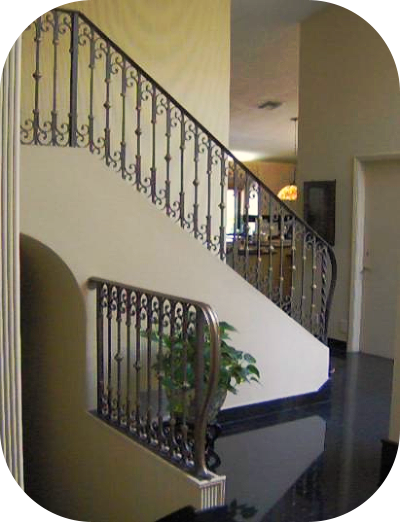 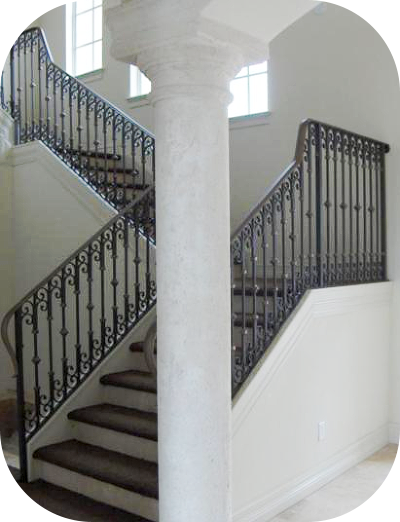 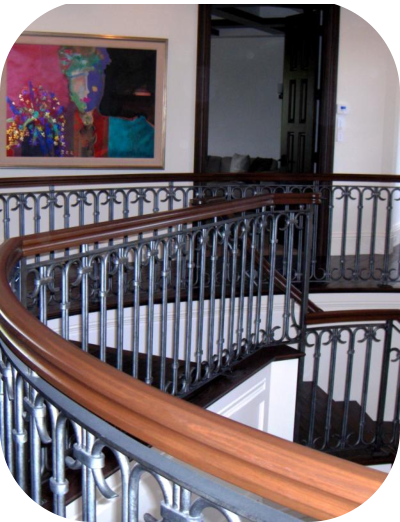 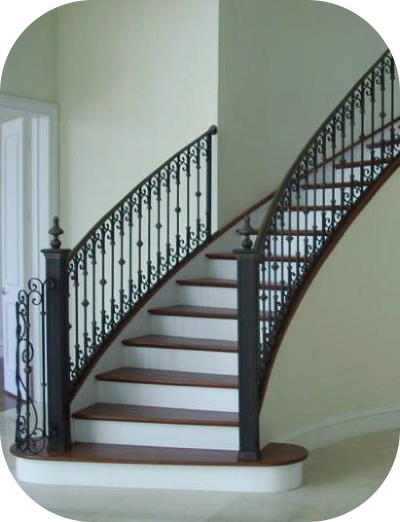 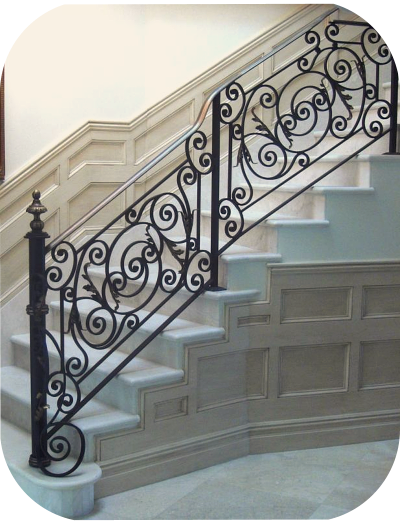 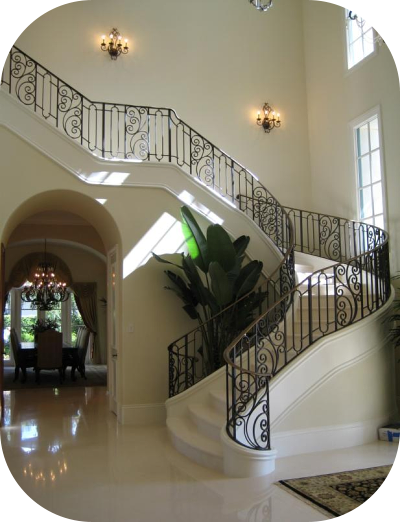 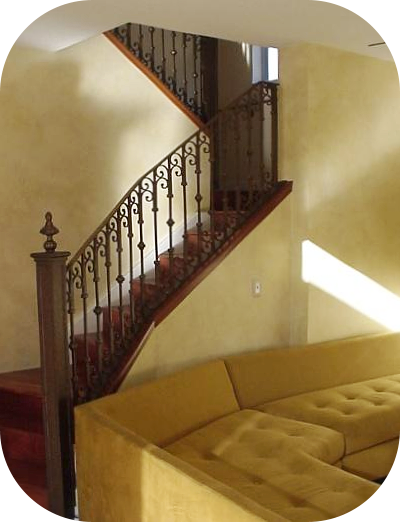 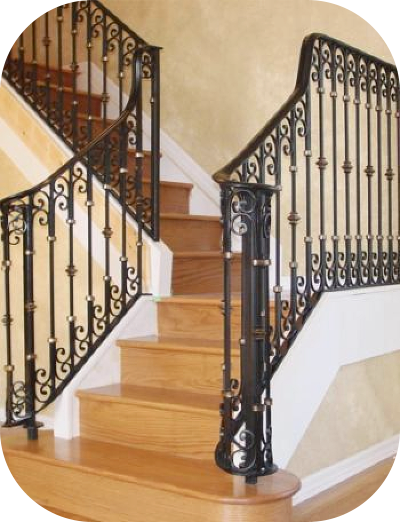 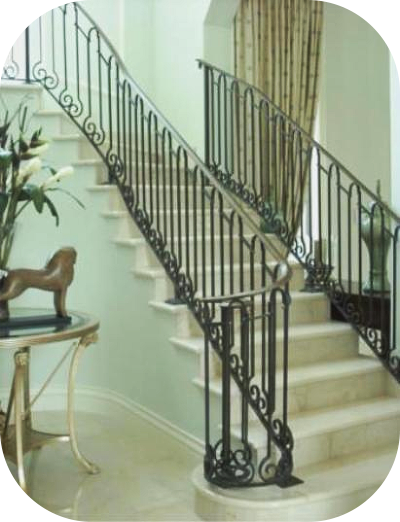 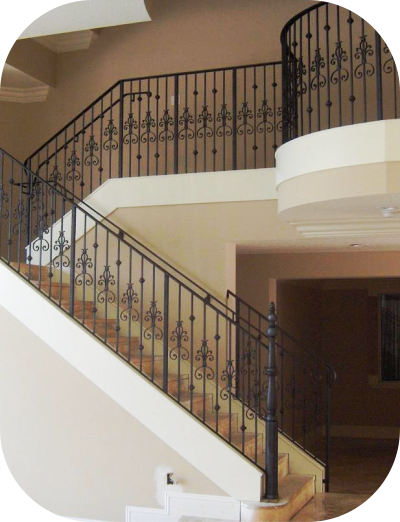 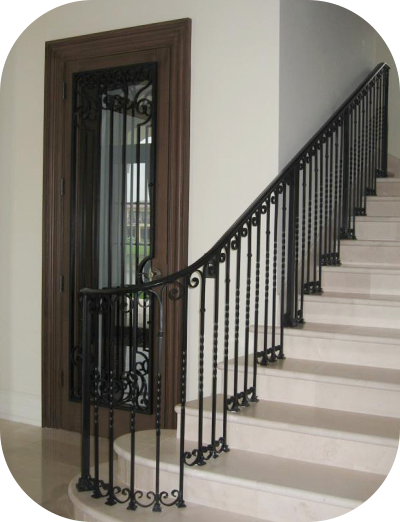 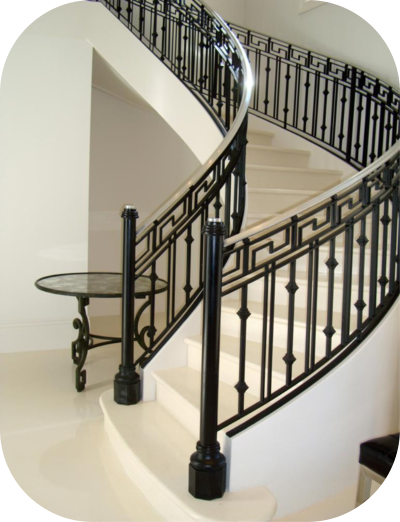 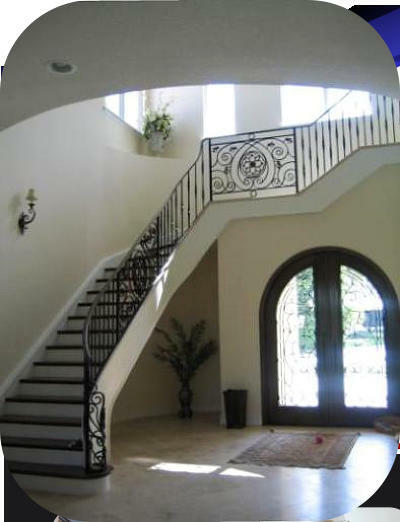 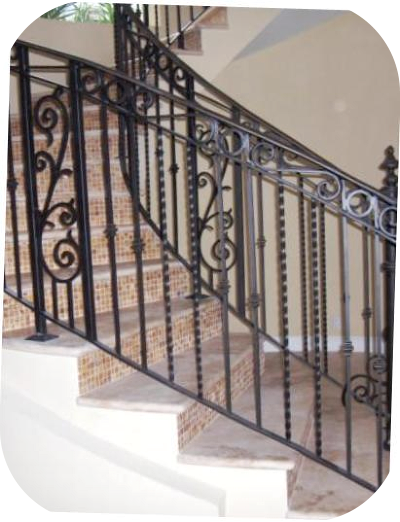 To see an extensive collection of all our interior wrought iron and aluminum stair railing designs, please contact us.